What are you tips and tricks to help you get more done? I have a few things I do that help me be more productive and also help me maintain some semblance of order around my stash. 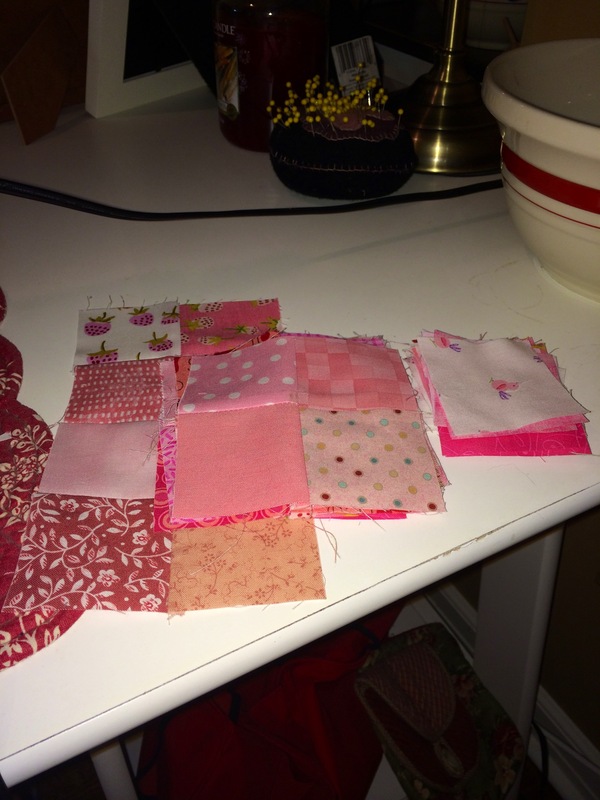 First, after I cut a project out, I try to decide what to do with the scraps right away. I don’t throw anything out, unless it is smaller than a 2.5″ square, or a 1″ strip. Strips go into one collection for string quilts and pillows, or ribbon at craft shows. Small squares get organized and stored by color. Larger pieces are put into one of many scrap bins, or cut to size for other projects. I try to avoid having big piles of scraps on my cutting and ironing stations – but in the spirit of full transparency – some days are better than others. I make quite a few postage stamp style quilts simply as a way to churn through scraps. They are quick, easy, look great, and make me smile when I think through the projects while working with the small squares. I never sit down planning to do one, but rather, do them in between other projects. Here is how it works: First, I keep a current pile for a quilt next to my machine. 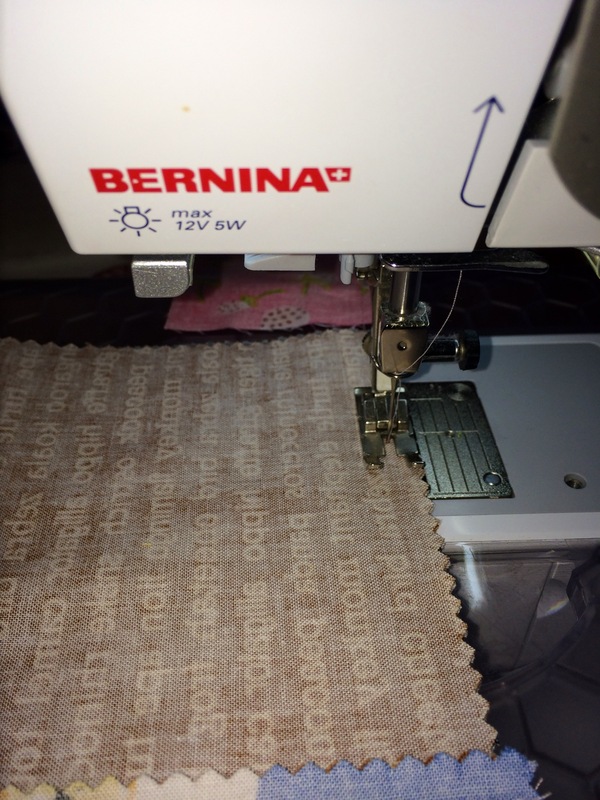 It includes 2.5″ squares along with 4-patches and 16-patches that have been put together. Then, before and after speed piecing, I stitch two squares together as a lead. 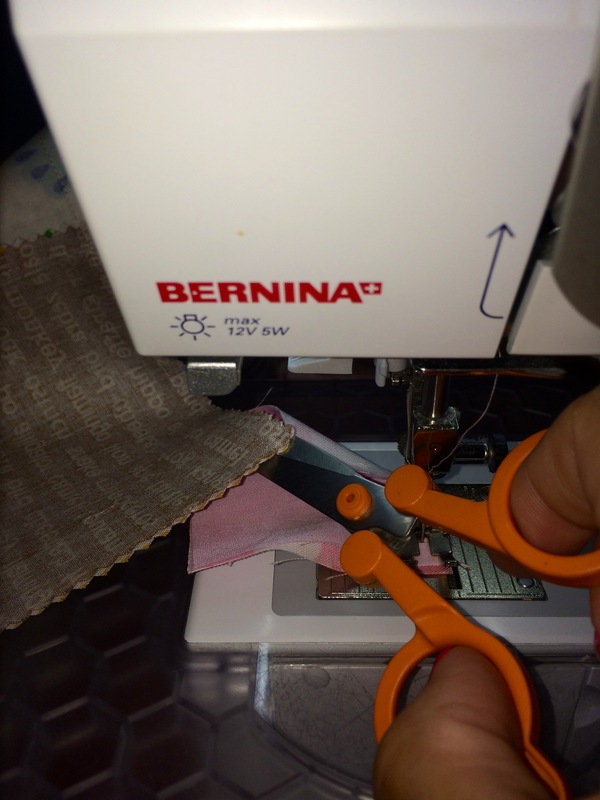 This allows me to always be able to cut something for ironing without having to deal with loose threads (saves thread too! ), but also gives me at least enough for one four-patch every time I sew a bunch of something else together. 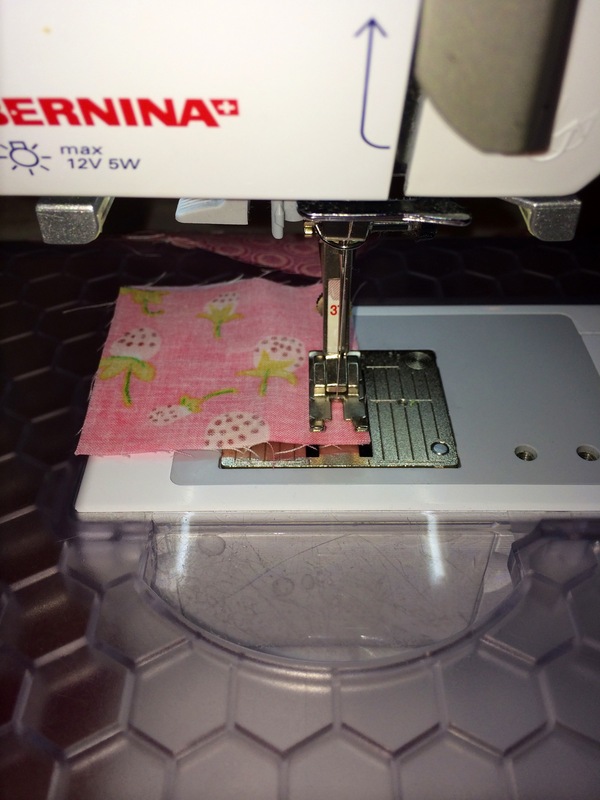 When I’m ready to snip something and add it to another block, the little 2.5″ squares keep the machine tidy and the needle in place. So, clearly this isn’t earth shattering, but it is how, I get extra work done and at least start to manage scraps. What do you do? Any time-savers, tricks of the trade or other words of wisdom that you can share?